How to tune your ukulele: Grab a clip on ukulele tuner! 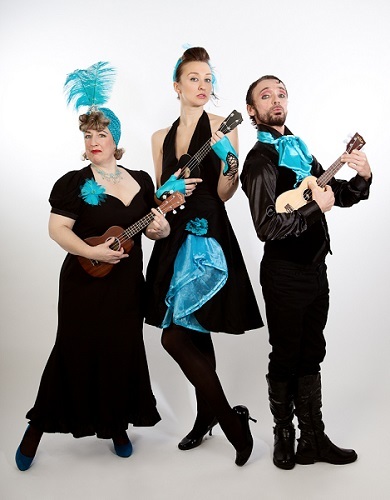 For (smallest to largest size) sopranino, soprano, concert and tenor ukuleles, the ukulele strings are tuned to the notes (from nose to knees) G, C, E, A. All ukuleles (except for baritones) are tuned in this way using these notes. Played ‘open’ (that means not pressing your fingers down on any strings, and just strumming), this makes the chord of C6 or Am7. For the same sizes as above, there is an alternative traditional English tuning – D6/Bm7 – A, D F#, B. Baritone ukuleles are tuned D, G, B, E and bass ukuleles are tuned E, A, D, G. For all stringed instruments, there are also other lesser-known tunings. You can tune up how you like, but each time you change the tuning, the chord shapes are different, and it might be trickier to find music that has the correct chord shapes. If you’re musically trained, you might tune up by ear. If you’re new to music, you’ll probably need assistance. You can get a free app on your phone to help you to find which note each string is tuned to, but they aren’t great if you’re in a noisy environment with other ukulele players. 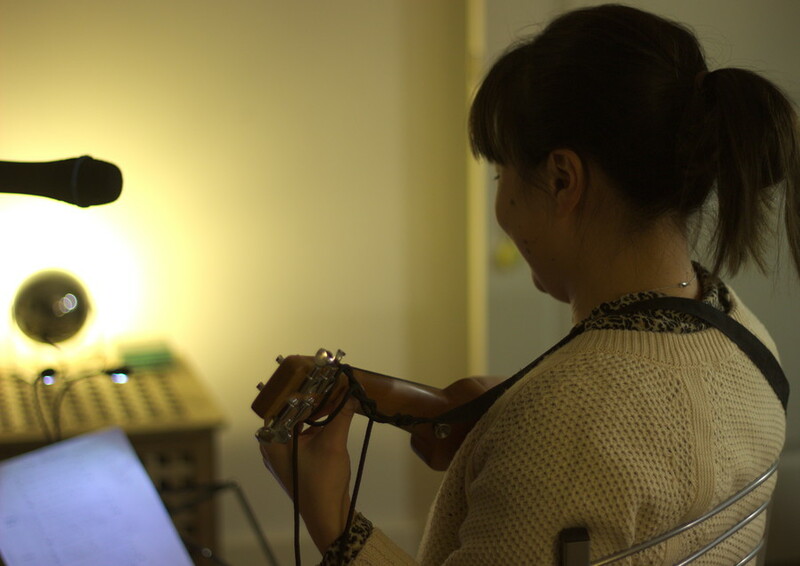 As the ukulele is a very social instrument, I recommend you get a clip on ukulele tuner, which works by detecting the frequency of vibrations of your ukulele to tell you which note it is. In short, it works better in noisy environments and tends to be more accurate. 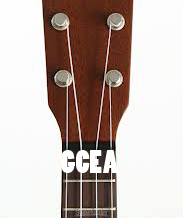 Have you already got your ukulele, here are some recommendations, here. 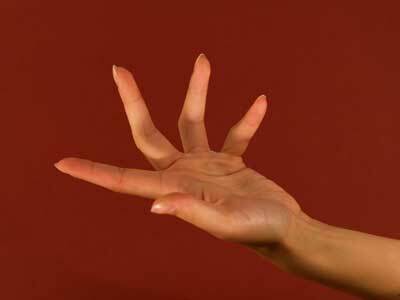 How to play the G chord, here. 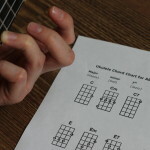 See how to play Bb chord on the ukulele, here. How to play the E chord, on the ukulele here. 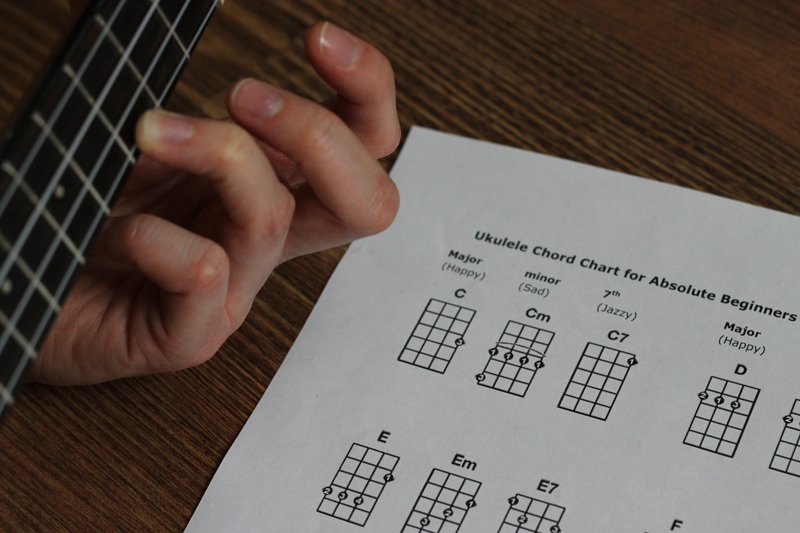 Get a free ukulele chord chart (and help with how to read it) from here. Do you want 6 basic strum patterns to get you going? See more here. If you’re in London, UK, you’ll learn this in our courses. Book your course to join us in London. If you’re not, please support us on Patreon so you can get access to all our upcoming online tutorials and challenges.